If you want to travel by UGA Bus, the closest stop to the Classic Center is Human Resources on Jackson Street, serviced by the East Campus Express and North-South routes. 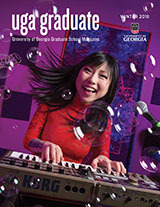 Visit the UGA Transit website for more detailed information about the UGA bus routes. If you want to travel by the Athens City Bus, the closest stop to the Classic Center is the Multi-Modal Transfer Center. For more detailed information about The Bus routes, visit the Athens Transit website. If you are traveling by car, the Classic Center will offer parking on the day of the orientation. 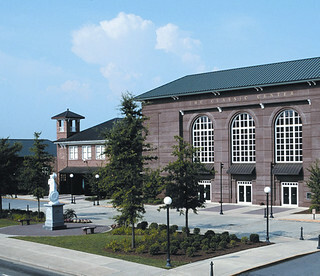 The Foundry Street Parking Deck, which is connected to the Classic Center, is located at 300 N Thomas Street in downtown Athens. Once parked, take the elevator or stairs up to the fifth level and cross the auto-bridge passway to the front of the building. For more detailed instructions, visit the Classic Center website.